Erin Siegal McIntyre, contributor of U.S. News, reports that as more American retirees head to Mexico, some are living illegally; it’s relatively easy for those citizens to live without legal documentation south of the border. ROSARITO, Mexico — At the sprawling beachfront Las Rocas Resort and Spa in the Mexican state of Baja California, the restaurant El Mesón serves up American-style pizza and Mexican seafood accompanied by a breathtaking view of the Pacific. To drum up more business, the restaurant is running a new campaign in local publications, with a limited-time offer. Their advertisement shows a beaming, middle-aged couple, a silver-haired gentleman and a blond. Her arms are draped comfortably around his shoulders. “Super special!” reads the text over their heads, in English. “Seniors 50% off your check!” In the tiny print below, a disclaimer notes that the deal is available to those aged 55 and up. That marketing focus is intentional. In 2017, for the first time in twenty years, Mexico topped the list of International Living’s annual ranking of the best places for U.S. citizens to retire. The population of Americans in Mexico is rising, in size as well as in age. Yet most of them may be there illegally. South of the border, it’s relatively easy for U.S. citizens to live without legal documentation. In fact, some official reports indicate that illegal Americans seem to be the rule, not the exception. One 2015 study from Mexico’s National Institute of Statistics and Geography reveals that a stunning 91.2 percent of Americans in the country don’t have their papers in order. That figure includes typos and other minor irregularities, and doesn’t appear to account for dual nationals. The welcome many American immigrants feel in Mexico stands in stark contrasts to the way their Mexican counterparts are treated by Uncle Sam. 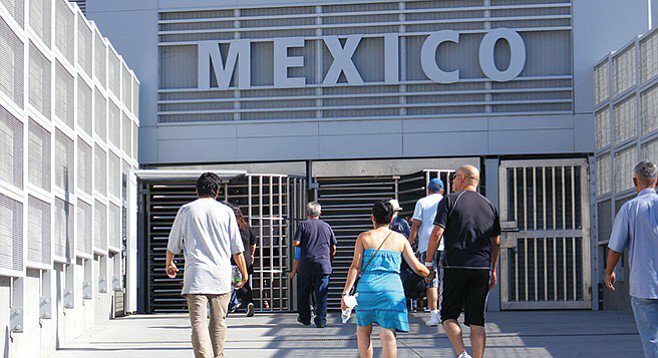 At the border crossing into Tijuana from San Diego, Americans can drive straight into Mexico without stopping or showing any kind of identification. 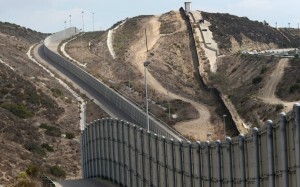 Mexicans generally embrace Americans and the influx of U.S. dollars that accompany them, and the Mexican government rarely deports Americans – typically just for very serious crime. Fines related to immigration paperwork can range from $50 to a few hundred dollars.